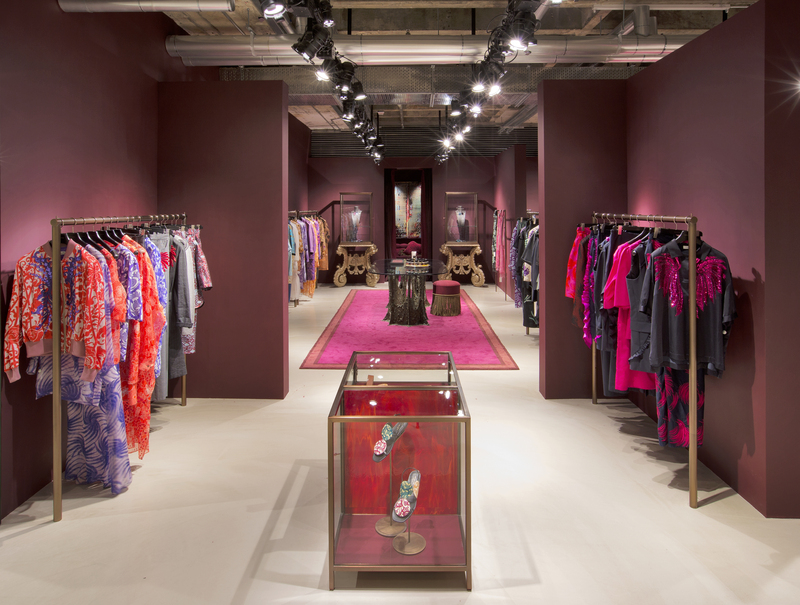 The newly designed LANDMARK Dries Van Noten space opens with a statement colour of deep, rich burgundy. Reconceived to evoke the atmosphere and pure lines of the designer’s studios in Antwerp, the exposed concrete ceilings reveal cables, piping, air ducts and light fixtures. This industrial element is juxtaposed with a softer, whispering extravagance of luxuriant fittings and furnishing such as lacquered shelving, hand knotted carpets, pieces by Paul Evans and a large handmade chesterfield sofa. Only a cherished and untitled 1970's painting by California resident, New York born artist, Jerrold Burchman, follows to the new space from the designer's former LANDMARK location. This work is joined by a new art acquisition, a work entitled Golden Flower by Belgian artist Andre Bogaert. 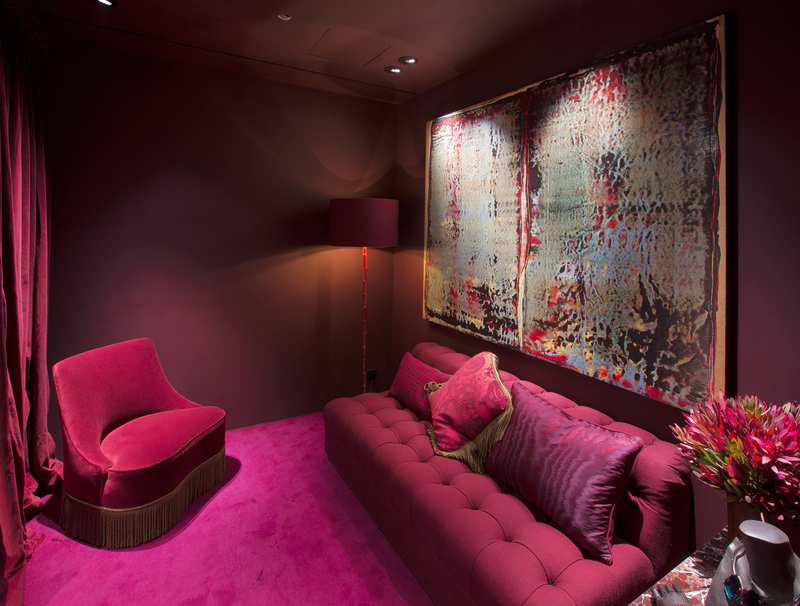 Dating from the 1960's, this piece was specifically selected for Hong Kong by Mr. Van Noten at an Antwerp art gallery. A playful matching pair of baroque dolphin console tables compliments the interior, belonging to the personal collection of notable fellow fashion designer and aesthete Victoria Press. 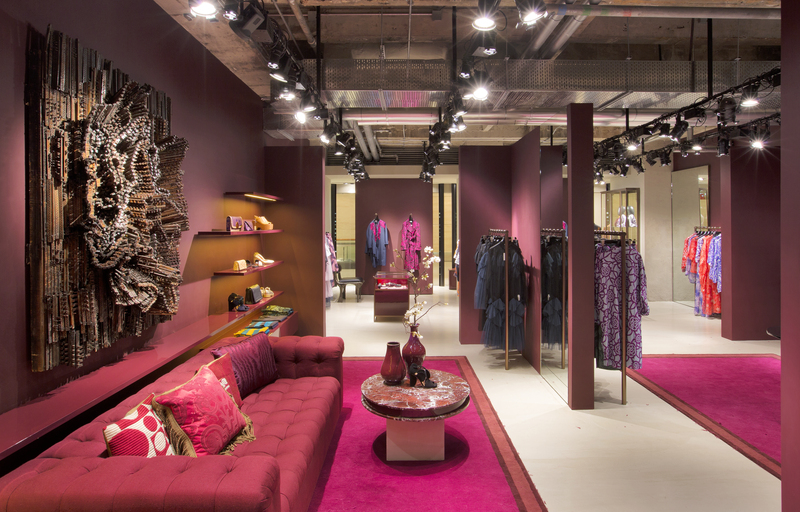 Mr. Van Noten's partnership with JOYCE Group spans over two decades: Dries Van Noten first opened its doors in Hong Kong in 1997 and marked the designer's second only shop in the world after that of his home town Antwerp, and the first of its kind in Asia.